I finally visited Khao San Road with my cousin. The restaurant does not take reservations but we only had to wait around 15 minutes for a table two during dinner service. 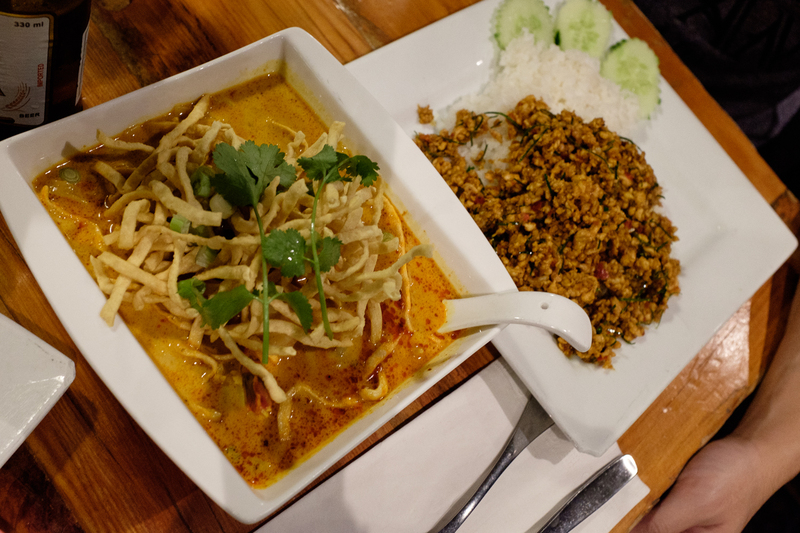 We ordered two dishes the Kua Gling and Kha Soi. 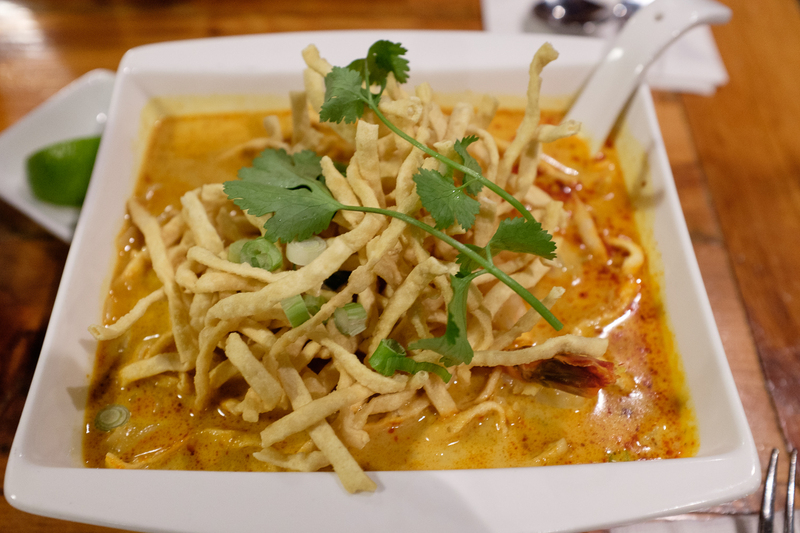 The Khua Soi, which I ordered with shrimp, was a golden curry with coconut milk and crispy noodles. 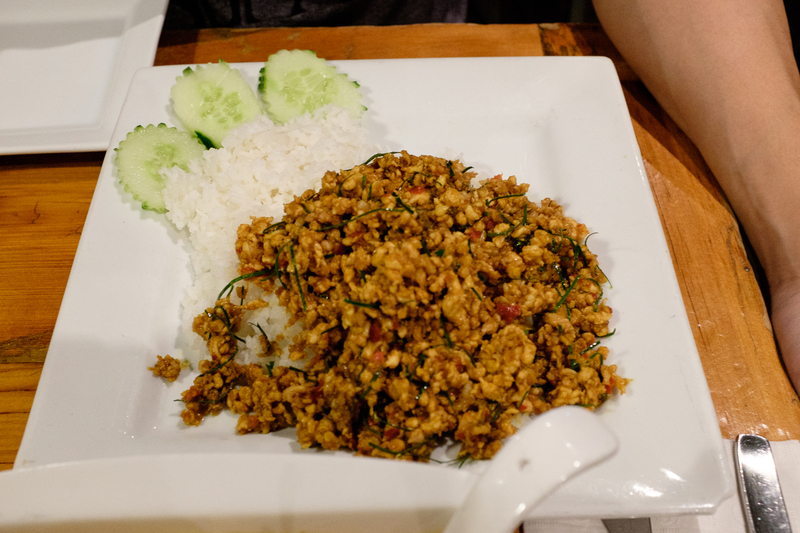 At Khao San Road, you can choose between a bunch of different spice levels. I did a level 3 out of a possible 11. 3 was already a decent level of spicy but the coconut milk in this dish helped cool down the tongue. The curry was super flavourful and I loved the crunchy noodles. The Kua Gling was a shredded meat dish and we chose chicken as the protein. We also chose spice level 3 on this dish but it felt a lot spicier than the other one. 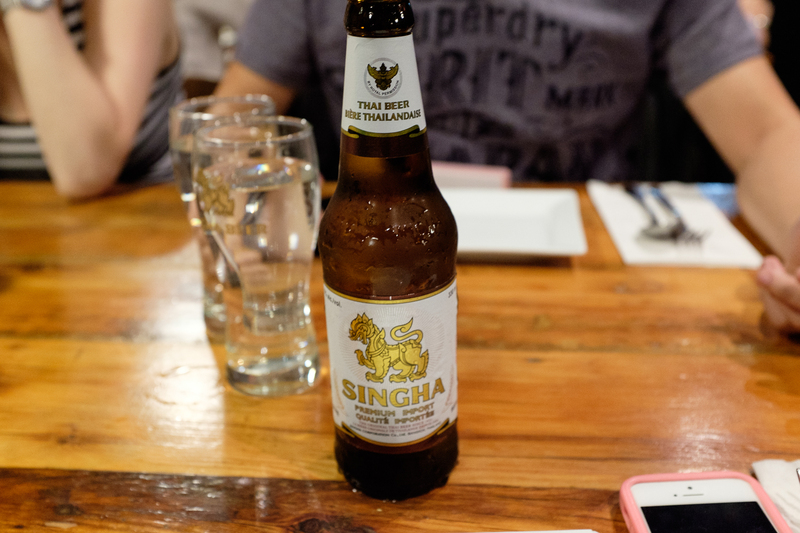 To go with my dinner I had some Singha, a Thai beer. I found it relatively light and refreshing between bites of curry. You might have to wait for a table at Khao San Road, but their flavourful curries are definitely worth it!